4 white label sites launched in the last month, we've got 5 more in production right now for March launches, and the platform continues to grow rapidly. We're excited to see that we're working with libraries and catalogs of all shapes and sizes. We've got boutique shops with less than 500 songs all the way to libraries with over 300,000 songs up and cranking on the platform. The great part about our SourceAudio is that we can scale infinitely and we offer a level of customization that makes each site perfect for each one of our clients. Our clients have a lot of great ideas and new product requests and as we build out and launch these new features (yes, we listen to our clients very closely and we build what they need) they automatically become available to everyone. We're very excited to say that we've got some major announcements to share by mid-April. Online licensing and user uploads will both be available on the platform and we have hundreds of thousands of tracks and some exciting new clients to announce. More news on that stuff very soon. 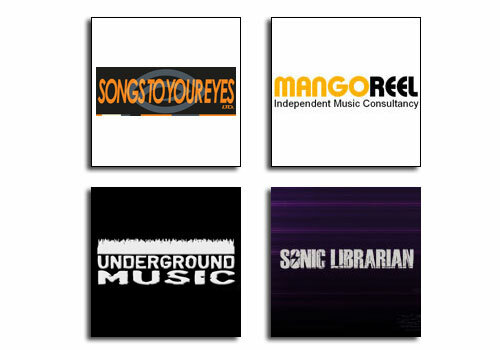 Congrats to Mangoreel, Underground Music, Sonic Librarian, and Songs to Your Eyes for their recent music licensing search and distribution site launches!